Wednesday afternoons at the cRc. May 30, 2007 Chodoshim Not Avail. June 06, 2007 B'Inyan Shemit B'Zman HaZeh Part 1 Not Avail. June 13, 2007 B'Inyan Shemit B'Zman HaZeh Part 2 Not Avail. Jan. 16, 2008 Eid Echad Ne'Eman B'Issurim cont. Sept. 10, 2008 Shofar Gazul Not Avail. Dec. 17, 2008 B’Inyanei Chanukah - Shmanim Asurim b’Hana’a Not Avail. Dec 7, 2011 B'Inyanei Hilchot Tefillin Not Avail. 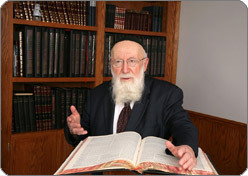 May 2, 2012 D'varim Ha'asurim b'Shabbos Mishum Hashma'as Kol Not Avail. Sept 5, 2012 Inyonei Selichot Not Avail. Sept 12, 2012 B'Inyan Achila v'Shita b'Yom HaKippurim Not Avail. Nov 7, 2012 B'Inyan Eidus -- Eid Sheker v'Eid Shav Not Avail. The sefer by Rav Gedalia Dov Schwartz, Shlit"a, is available for purchase in the cRc office and at your local Jewish bookstore.